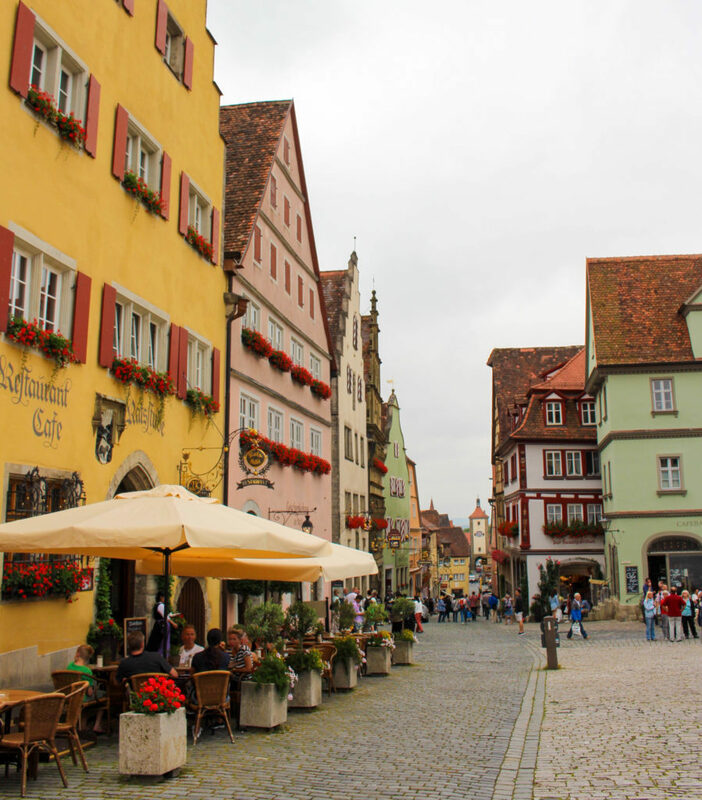 Rothenburg ob der Tauber: The Cutest Town in All of Europe? 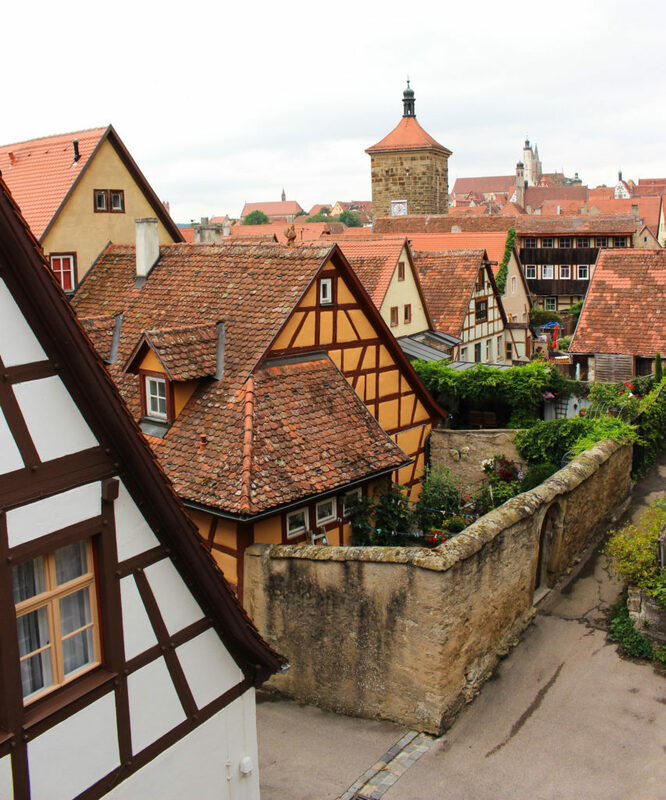 It’s not often that you stumble upon a destination like Rothenburg ob der Tauber. These kinds of places — where you constantly have to pinch yourself, to make sure you’re not in some kind of magical, fairy-tale dreamland — seem to exist less and less these days. 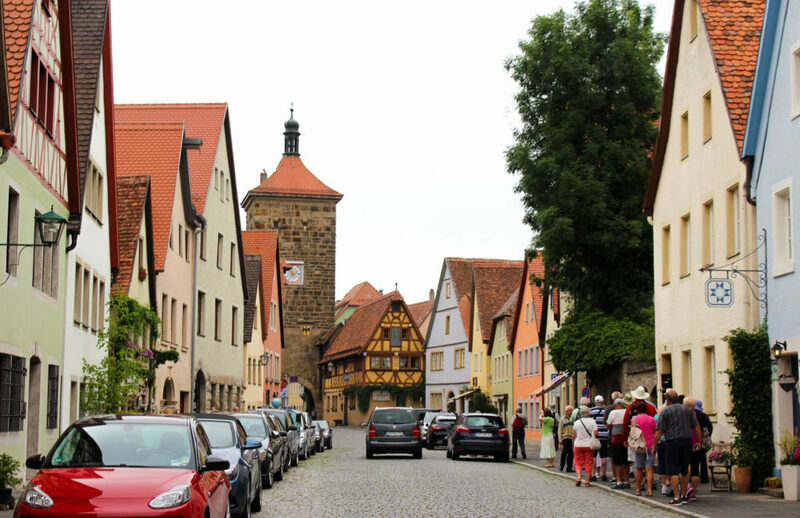 Visiting Rothenburg ob der Tauber feels like time-traveling back 500 years. 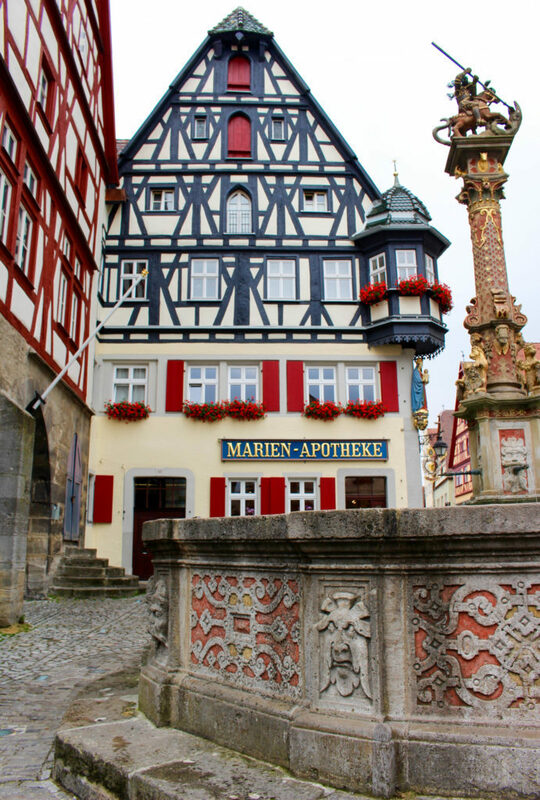 As you roam the quaint cobblestone streets of the perfectly preserved town, climb inside the surrounding fortress, take in the bright colors of each old building, and drink fresh-pressed apple juice in the town square, you’ll swear you’ve never seen a place so adorable or enchanting. 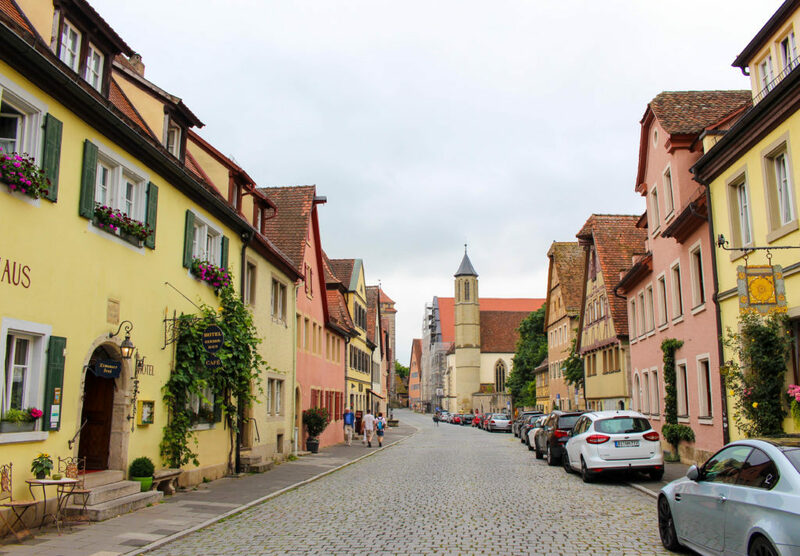 During our Grand European Tour through Hungary, Austria, Germany, and the Netherlands with Viking River Cruises, we were lucky enough to spend one day in Rothenburg ob der Tauber, experiencing everything this tiny town has to offer. 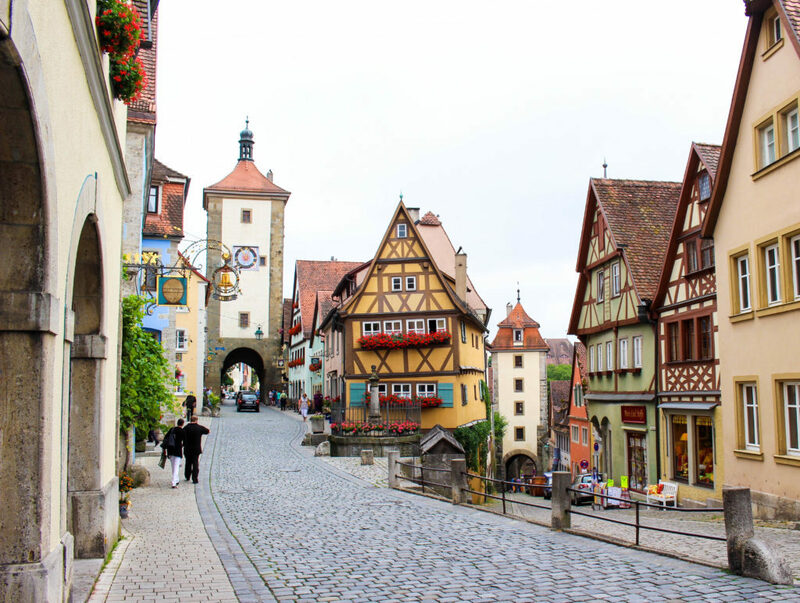 Rothenburg ob der Tauber, which occupies Germany’s Franconia region, might be the cutest medieval town in Germany — and all of Europe, for that matter! After reading this post, just try to tell us you disagree! 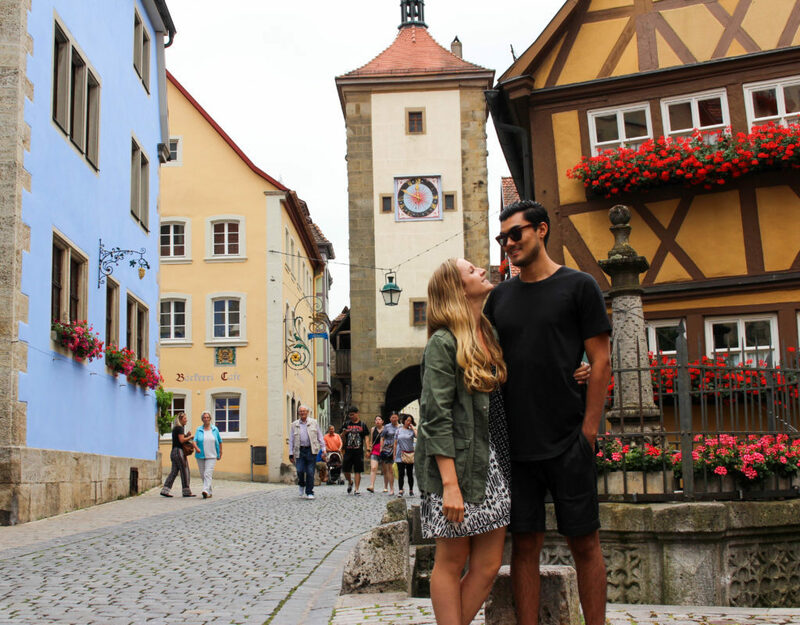 Here’s our proof that Rothenburg ob der Tauber is the cutest town in Europe! 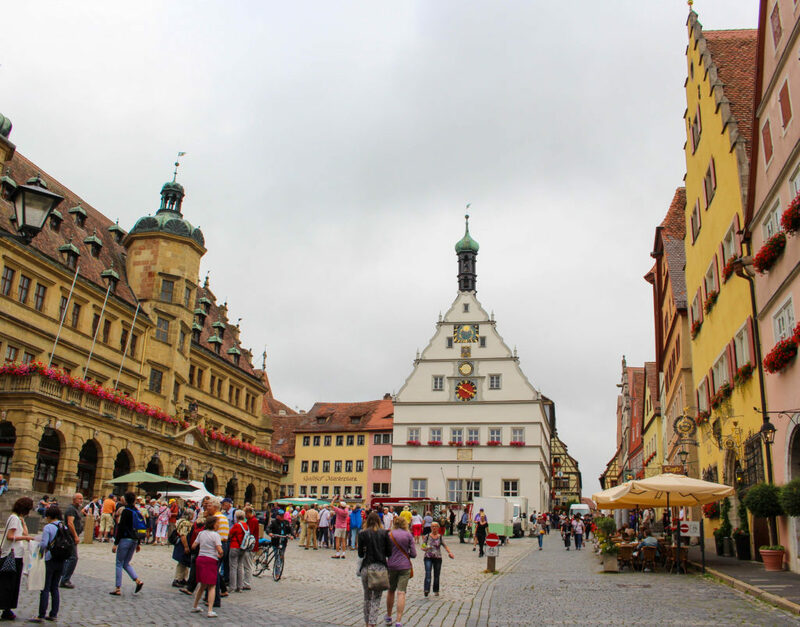 Even though Rothenburg is a tiny town of only 11,000 people, there’s a lot to do. First and foremost, you should spend time simply soaking up the enchanting atmosphere and the incredible architecture, and taking lots of photos! 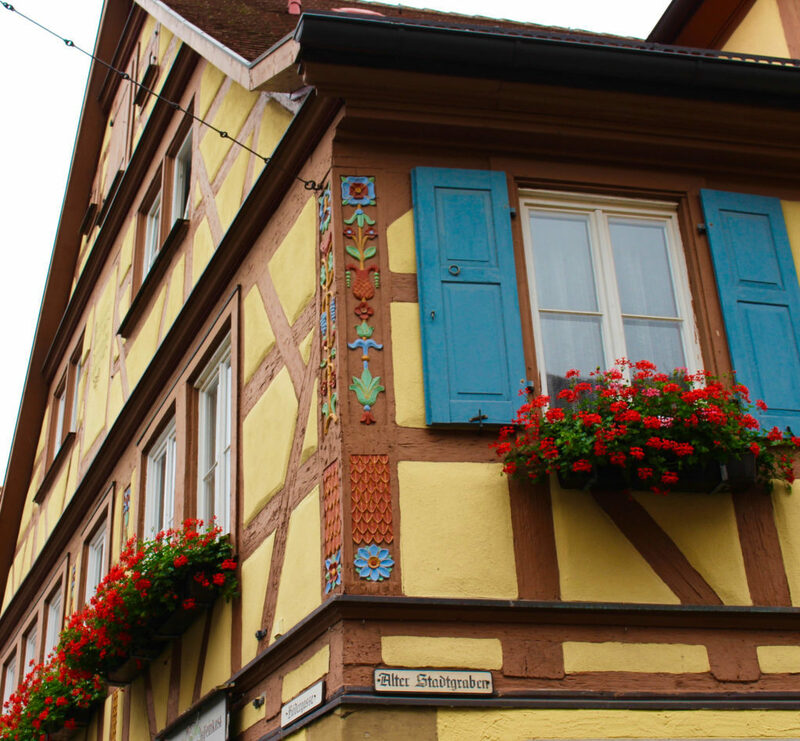 Everywhere you look, you will find colorful, striped buildings adorned with flower boxes and shuttered windows, cobblestone streets, ornate signs, and cute outdoor cafés. 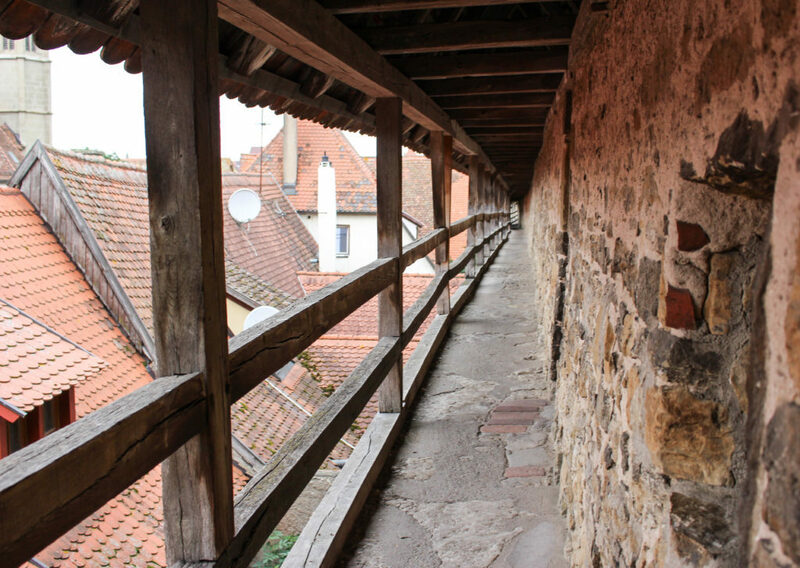 You should make sure to climb up into the fortress walls which surround the city, and walk through the tunnels, for bird’s-eye views of the town. Another must-see is the German Christmas Museum, which is really more of a giant Christmas shop. There, you will find all kinds of Christmas artifacts and hand-made, hand-painted ornaments, decorations, and trinkets. 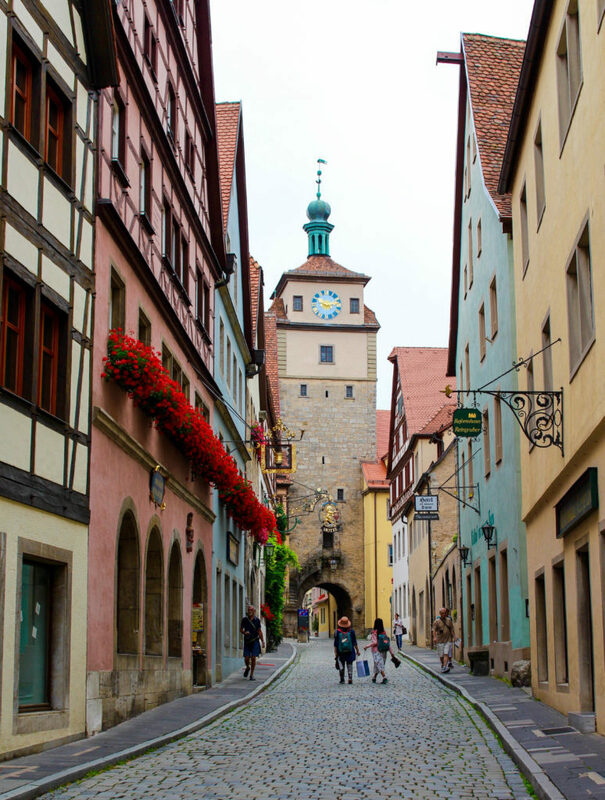 Nowhere does Christmas like Germany, and as you’ll notice in Rothenburg, Christmas is a year-round event! 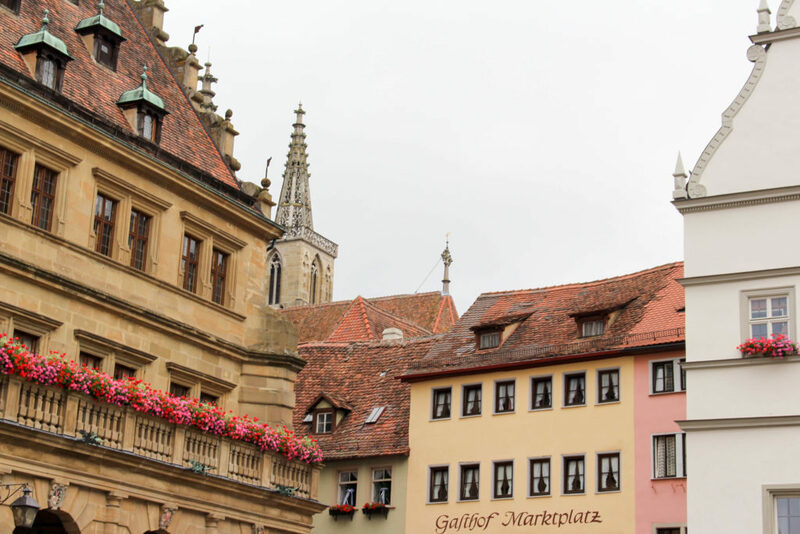 During your stay in Rothenburg, there are a couple places you should eat and drink. 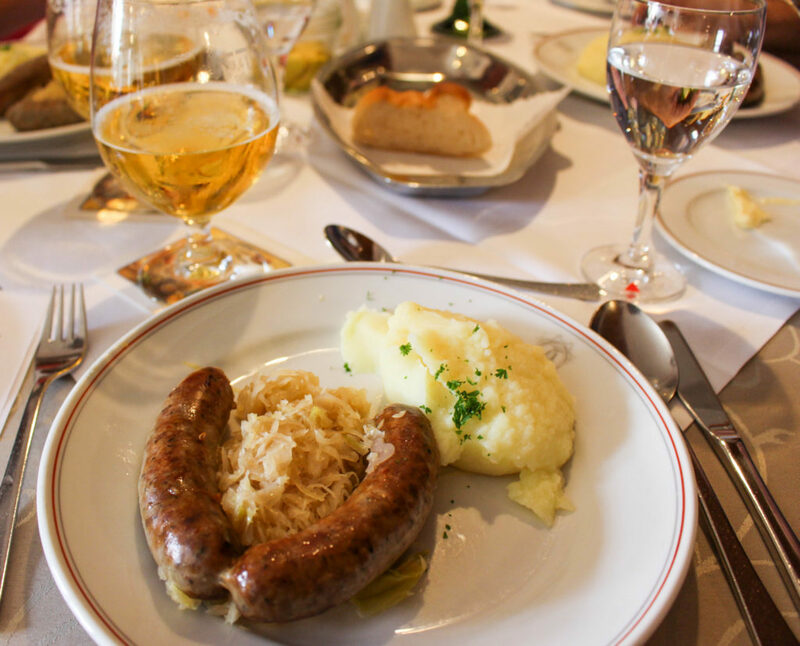 For local food — like sausage and sauerkraut — and a charming atmosphere, head to Zur Höll! No doubt, you will love this place. 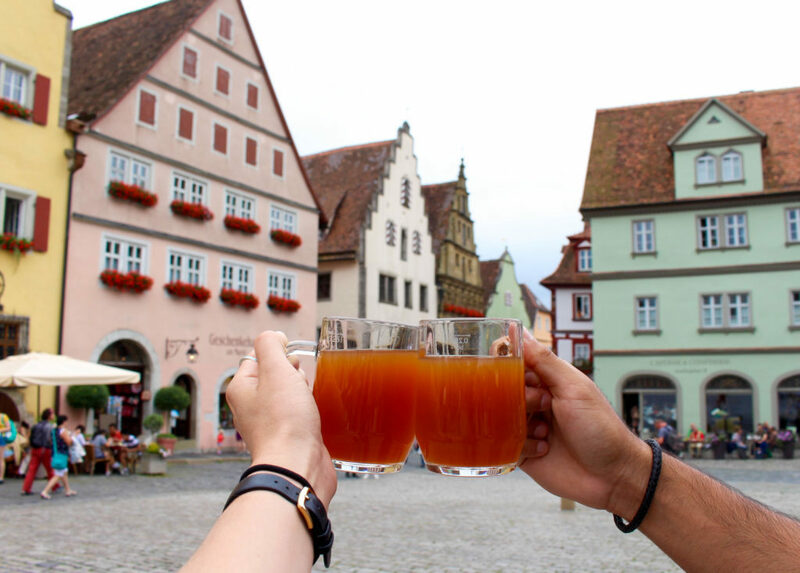 The awesome food, the happy mix of tourists and locals, and cold, frothy beers are a few reasons why! In the Market Square, you will also find lots of different stands offering all kinds of snacks and drinks. Of them, we can’t recommend the freshly squeezed apple juice stand enough! Trust us, you’ve never had apple juice this delicious in your whole life. It’s a must! 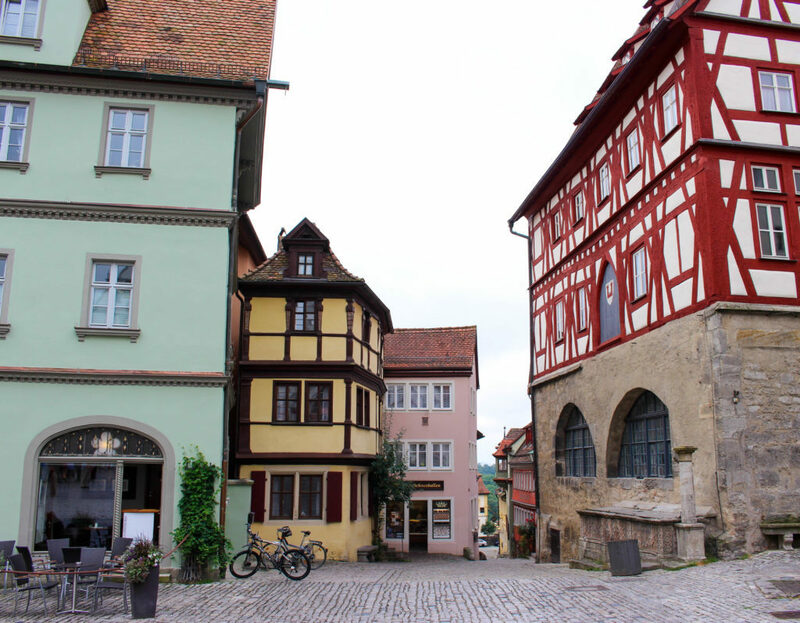 If you plan to spend the night in Rothenburg (this is highly recommended — unless you’re on a Viking River Cruise like we were, of course! 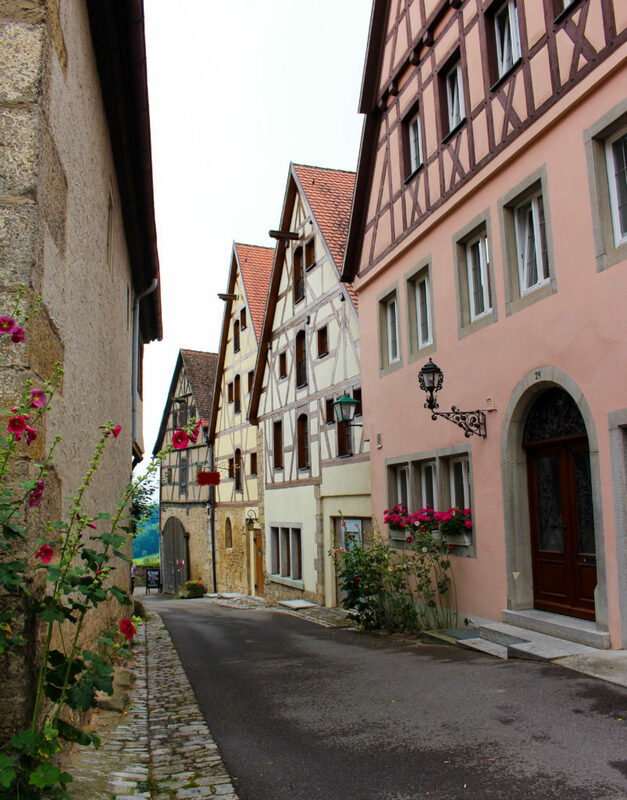 ), then you’re in luck, because there’s no shortage of super cute places to stay in this fairy-tale town! 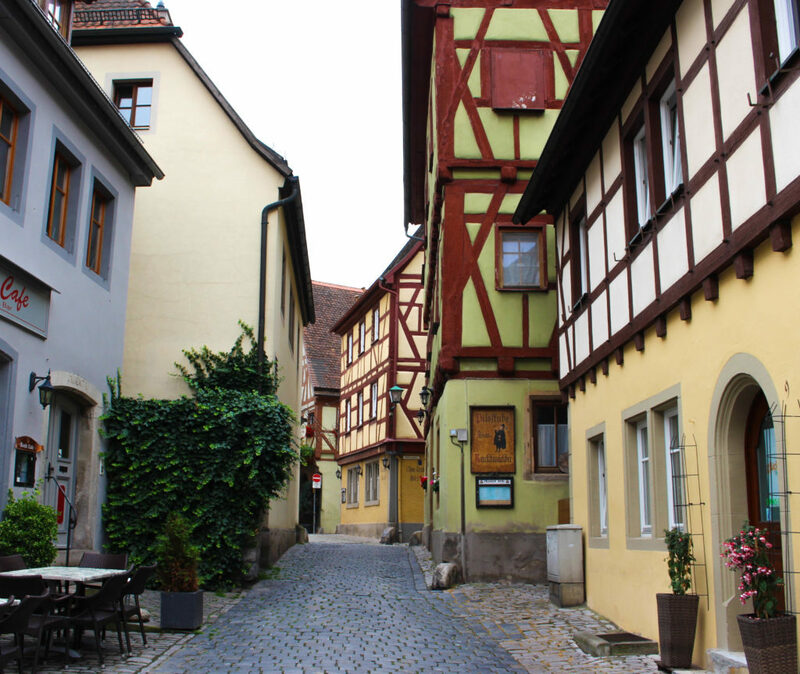 For your trip to Rothenburg, make sure to book a room at the Burghotel. The cute cottage-style décor will have you swooning before you even walk through the door! The sweet guest rooms, views of rolling green hills, and lovely outdoor terraces are also major pluses. 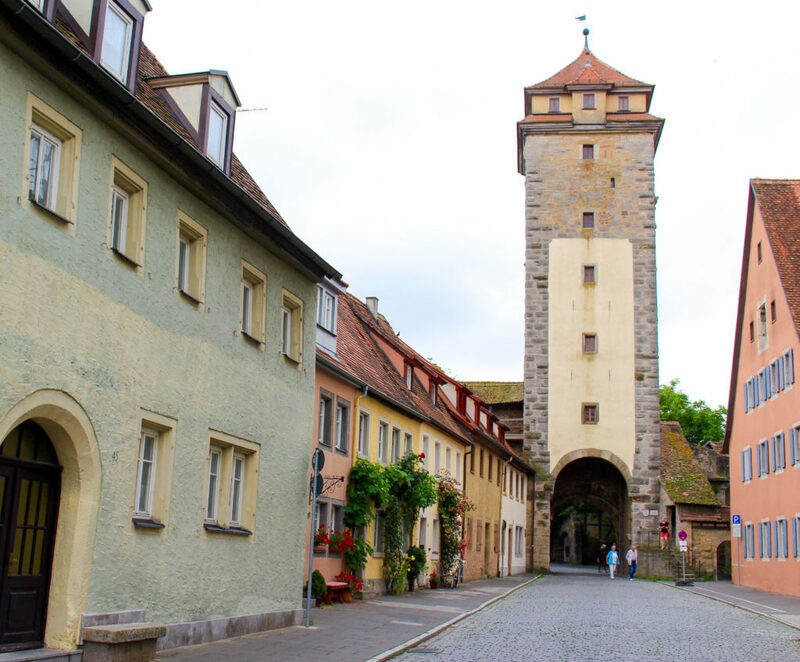 Click here to find other great deals on hotels in Rothenburg ob der Tauber! 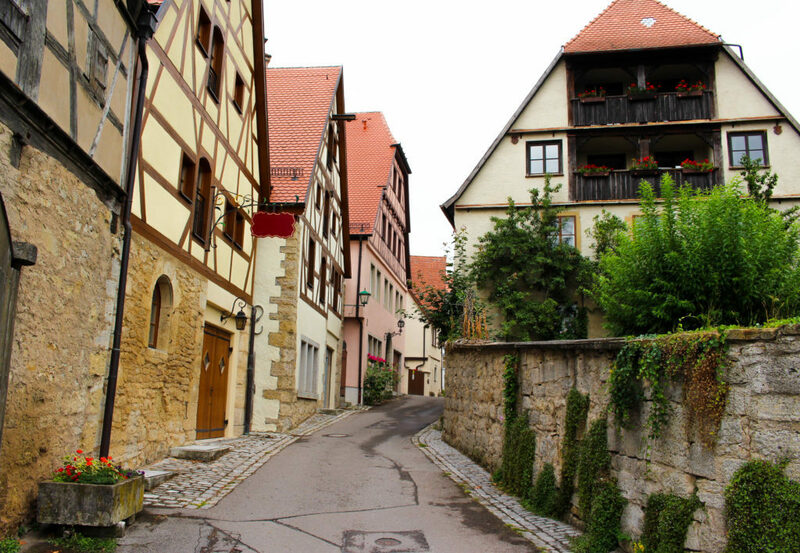 Even now, I can’t believe that Rothenburg ob der Tauber actually exists. 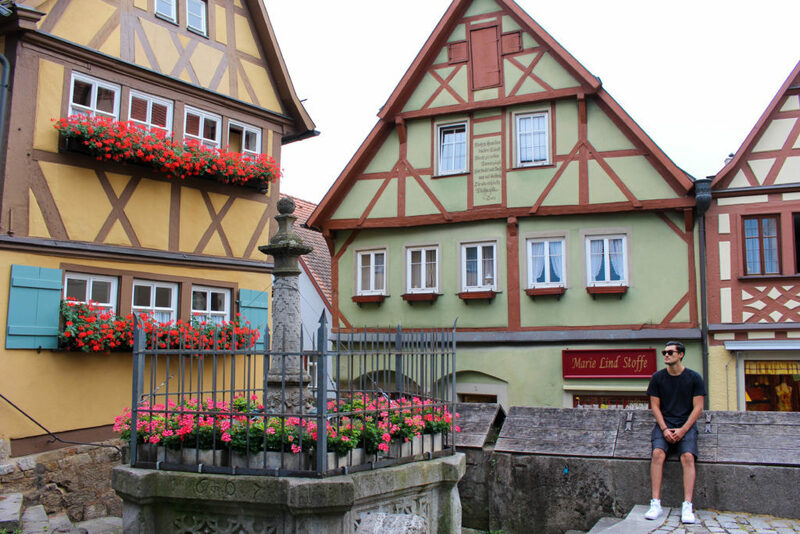 When it was time to return to our Viking River Cruises ship, we almost didn’t want to leave! 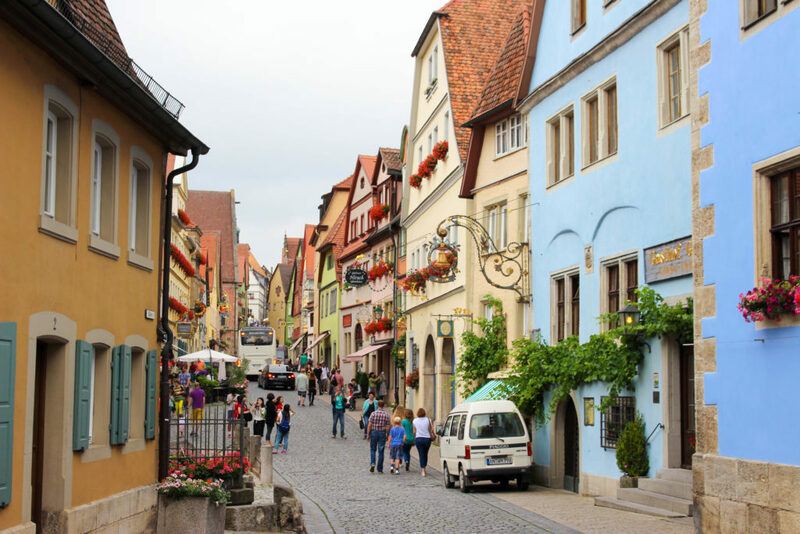 But the prospect of visiting more German fairy tale towns, as well as other the fantastic destinations on our cruise itinerary, were enough to coax us back on board. 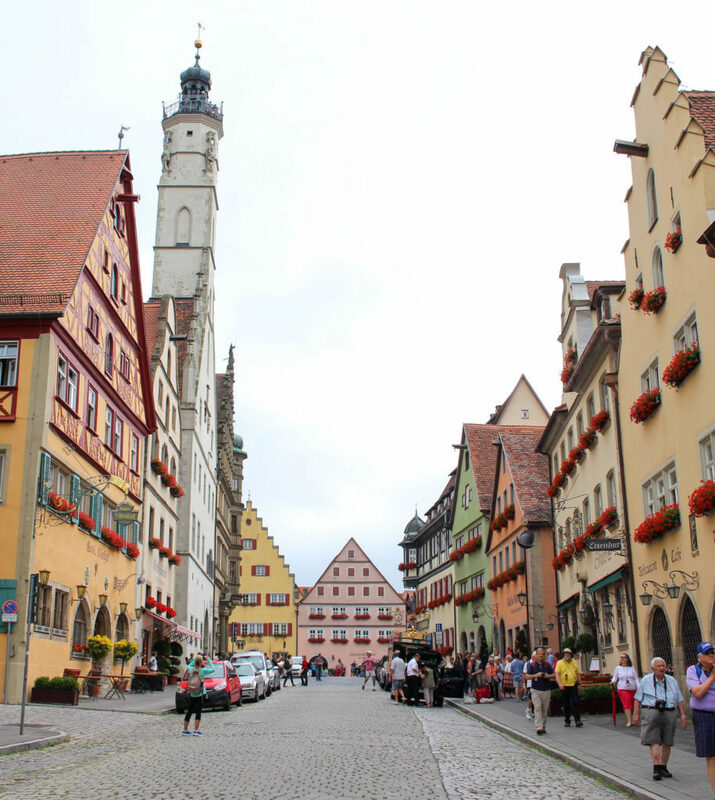 If we ever have the opportunity to visit Rothenburg ob der Tauber again, you can bet we will! Especially if it’s during Christmastime! P.S. 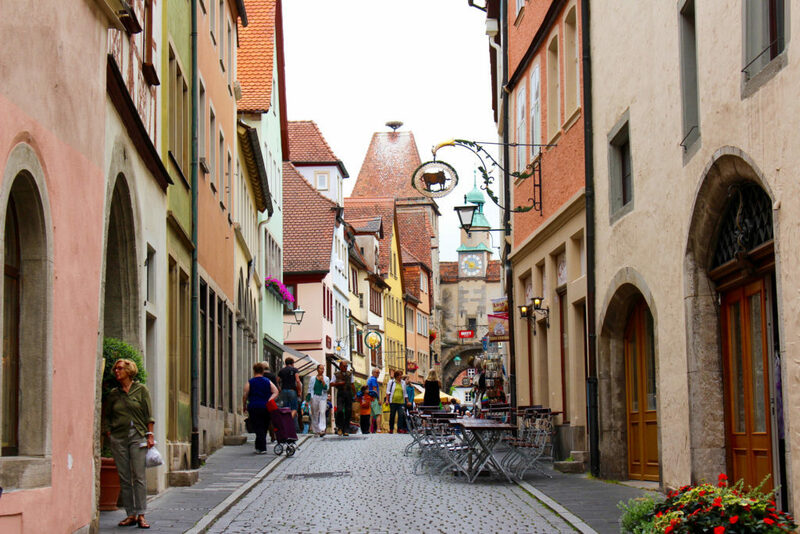 If you’re looking for great deals on accommodations in Rothenburg, click here!